Introducing gorgeous American fashion model Heidi Mount who poses for Monique Lhuillier bridal 2018 collection's campaign. 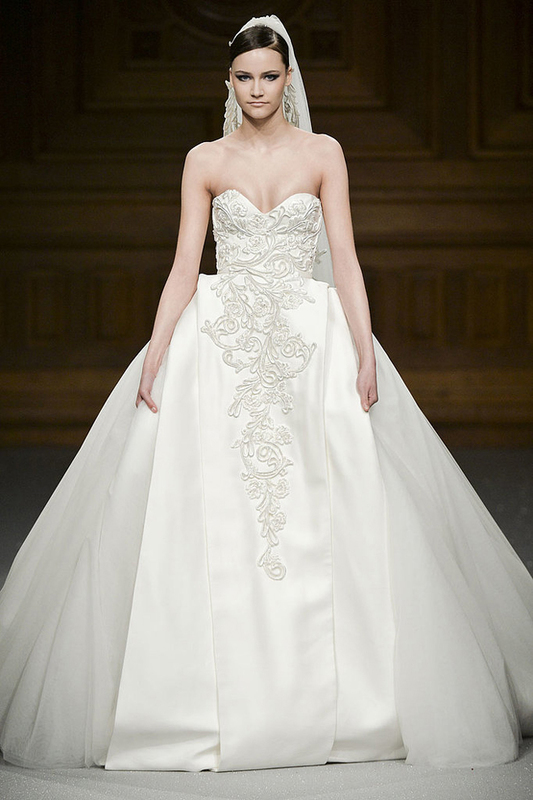 Philippine designer Monique Lhuillier offers elegant styles in gorgeous ivory and champagne colors. You gonna be amazed by classic fit-and-flare silhouettes with tulle silk, sheer necklines and shiny gold pumps with transparent heels. Everything looks romantic and sophisticated. I am amazed by fresh styles, beautiful and soft tones and layering. I love the combination of Chantilly lace with beautiful overlays of draped tulle and delicate embroidered lace appliqués. I am so excited to share with you this exclusive first look collection. Let's talk about weddings. I want to draw your attention to bridesmaids dresses that are so special for a big day. Just imagine bride posing with bridesmaids who appear in the similar style and color ensembles. That's an ideal picture for looking back on in the future. Well, the hardest challenges so far is to make them all wearing quite the same gowns on your wedding day, as you all know women are individual and want to look very unique and special no matter what is the occasion.